Several years ago, I was at a Thanksgiving celebration with my relatives. Most of the food had made it onto the dining room table, but for some reason all of the people were still in the kitchen or in the living room. We migrated en masse to the dining room and found the cat on the table. He was helping himself to the gravy. It was obvious that everyone present was a cat lover. 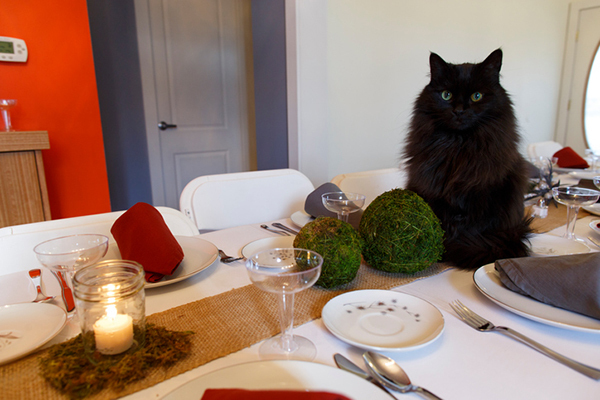 Several photos were taken before the cat was removed from the table. And we still ate the gravy. If my pal Buster were allowed unfettered access to a laden Thanksgiving table I can only imagine the decimation that would occur to the dinner and the dog. Fortunately, cats aren’t as prone to extreme gluttony and subsequent pancreatitis and bloat. However, cat parents might be wondering which Thanksgiving foods are safe to share with cats — and which foods they should avoid. Your cat shouldn’t be up on your Thanksgiving table, but if you want to share some of your Turkey Day feast, here’s what foods are safe for him to eat. Photography ©MJFelt | Thinkstock. First, remember that any cat might have specific food intolerances or allergies. So even if something is generally safe for cats, it might not be safe for your cat. Second, remember that moderation is key. If you allow your cat to feast at Thanksgiving to the extent that I do, then your cat, like me, will probably feel ill after the dinner. Unlike with me, however, that feeling of illness might progress to real illness. And some things, as will be outlined below, might be mildly toxic to cats and therefore should be minimized. Can Cats Eat Thanksgiving Turkey? Turkey dinner. Photography by Bochkarev Photography / Shutterstock. Yes. This staple of Thanksgiving happens to be completely edible and delicious for felines. Skinless white meat is most benign, but most cats can handle dark meat or a bit of skin and giblets as well. I remember as a child my father would give a hearty helping of skin, fat, and giblets to the cat every Thanksgiving. I was worried that it could cause heart disease in the cat. I had not yet learned that fat and cholesterol do not contribute significantly to heart disease in cats, and possibly not in humans either. 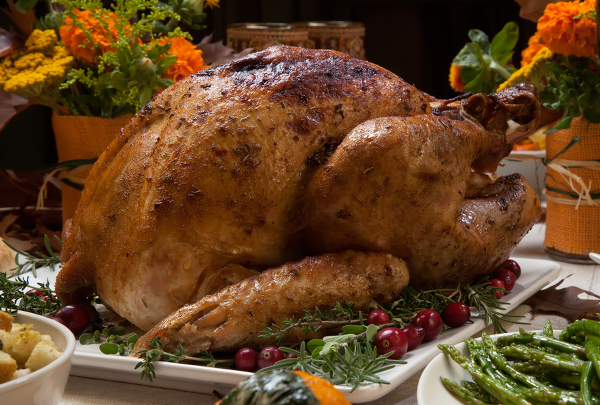 However, the fattier parts of the turkey are more likely to cause upset stomach, so go easy. The cat I mentioned above suffered no adverse consequences from his gravy lapping. However, remember that gravy is fatty and salty. Moderation is key, and the salt could cause problems for cats with pre-existing heart conditions. I like to make my mashed potatoes with lots of garlic, onion, shallots, half-and-half and butter. It turns out that garlic, onions and shallots can cause Heinz body anemia in cats. And many cats are lactose intolerant, so the half-and-half could be a problem. However, garlic isn’t cyanide and half-and-half isn’t acetaminophen (which is massively toxic to cats). Most cats could survive a bite or two of my potatoes. And they certainly could tolerate milder, less rich mixtures. But I wouldn’t recommend serving up mashed potatoes to your cat. Again, garlic and onions could be a problem. And the bread laden with delicious turkey grease might cause gastrointestinal issues. It’s best to keep your cat out of the stuffing. Can Cats Eat Green Bean Casserole? The green beans are no problem, but the canned onions are. This is a no-no for cats. Can Cats Eat Cranberry Sauce? 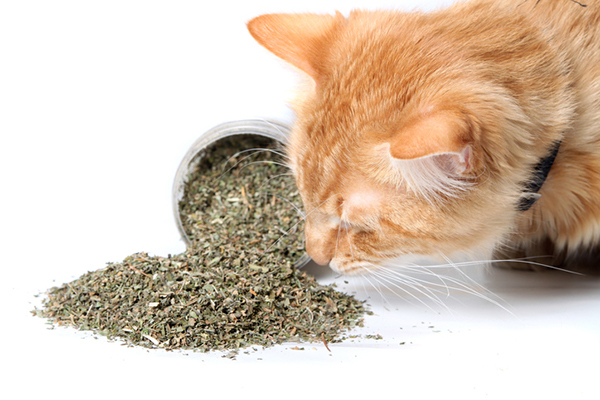 Although it’s certainly not a part of a cat’s natural diet, it’s not toxic either. I learned in vet school that cats supposedly are not attracted to sweet items or tart items. My experience, however, has been different. I’m sure that some cats love cranberry sauce. Fortunately I doubt that any problems will occur if your cat breaks into yours, unless it’s so loaded with brandy that the cat gets drunk. Can Cats Eat Rolls and Breads? Plain rolls and bread should not be a problem. Garlic bread, on the other hand, introduces a risk of Heinz body anemia. For the record, I am not advocating that cat owners pile heaping dishes of Thanksgiving food for their cats. In fact, really the only food that I can unhesitatingly recommend for most cats is skinless turkey breast. But if your cat drinks a bit of gravy, or licks a bit of cranberry sauce, or noshes on a roll or digs into the lime Jell-O, you probably don’t need to be worried. Also, remember not to feel too sorry for your cat when you do not share your delicious Thanksgiving meal with her. She already no doubt has plenty for which to be thankful. Thumbnail: Photography ©JasonOndreicka | Thinkstock. Patches our calico lovea turkey. We allow her to have 2 small pieces now. We found out the hard way several years ago letting her eat her fill was a big mistake, she threw it up. So now, no matter how much she mews and begs, 2 little pieces are her limit. She is curled upside down napping in Turkey bliss as I post this lol. Several years ago I had my brother in law and his family over for Thanksgiving dinner and I had the table set with my best china and all the trimmings. (This was a special occasion because my husband and brother had not been speaking for years, and I finally got him to agree for the meal together), any way I thought the cat was outside but NOT he was sitting in the middle of the table giving himself a bath. I was so embarrassed. I only give my cats the turkey and raw string beans or carrots. I eat all my veggies raw and my cats do to. I’ve tried to cook the veggies for them but they won’t touch them. Am I making a mistake giving them raw veggies? My sister cannot leave zucchini unattended in the kitchen or dining room. One of her 6 cats cannot get his fill of zucchini and will steal it off the kitchen counter the second my sister turns her head. She then has to search the entire house in order to find the half eaten zucchini. Our cats LOVE poultry – white meat only. And that’s the only human food their staff ever gives them. Our recently deceased feline lived to 18 1/2. His stepbrother is 15+ and going strong with his (comparatively new) colleague (5). Thanks so much! We just adopted our baby and were discussing this the other night… The warning about garlic and onions is something we will keep in mind since most of our foods contain it. I have been trying to “teach” myself to set aside a very small portion of things (scrambled eggs, cooked chicken, etc.) for him that has no seasoning, I’ll do the same with the turkey. No other sides, though!!!! Cats should never be allowed to eat to the point of throwing up. A little turkey is fine but not to the point of getting the cat sick. That is not being a responsible cat owner. Completely agree!!! Their tummies are tiny, we endeavor to keep that in mind! Thanks for your comment! Our 24 year-old tabby insists on joining us on one of our 4 kitchen chairs at breakfast – after she’s had her own “proper” cat food on a plate on the floor. We feed her very small pieces of smoked salmon, thin slices of cooked chicken or roast beef placed on the edge of the table. Sometimes her curiosity to inspect our boiled/poached eggs or toast and marmelade makes her put her front paws up on the table and stare into our plates, but we get spooked at that! If we don’t observe this sharing ritual properly, she sits on the chair with her back to us, obviously offended. I agree with you on the “tart and sweet”. We had a cat once who went crazy after you if she saw you eating an apple. I have a picture of her climbing up my husband who was holding the apple high above his head, and yet she was determined. Most cats I’ve had prefer salty things. One cat would mug you for your potato chips. Another cat loved licking cheesy poofs and leaving the rest on the floor.